4.97 Stars for Overall Service in 2015, 2016, and 2017! to reserve your Outdoor Rental...it's fast & easy!!! 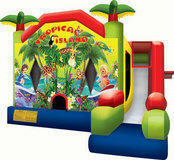 We are the ONLY ALL-DAY Outdoor Bounce Party Rental Company 4 Spokane Valley + North Idaho Areas! The ONLY ALL DAY Bounce House Birthday Party Rental Company and Corporate Party or Event in Spokane Valley, Washington, area AND Coeur d'Alene, Idaho Area is Jump N2 Fun!!! 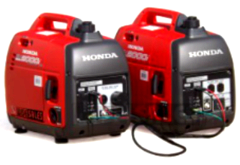 Why pay for a 4 hour rental when you can get a minimum of up to 8 hours for the same or even better price? Others try to imitate us, but the #1 Choice for Inflatable Birthday Party Fun and Corporate Events is still Jump N2 Fun and is North Idaho plus Spokane Valley's only ALL DAY bouncy party and corporate rental company. Veradale, Washington loves Birthday Party Waterslides from JumpN2Fun.com. Healthy Aerobic exercise jumps for corporate events all summer long in Liberty Lake, Washington. Other companies charge you extra $ after only 4 hours, but at Jump N2 Fun you can rent up to 8 HOURS at no extra charge! 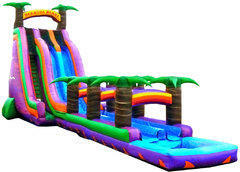 Coeur d'Alene, Idaho prefers inflatable water slide corporate Party Rentals from Jump N2 Fun. 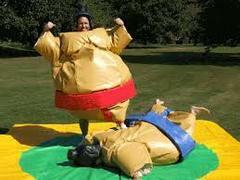 Our umatched customer service is Ranked #1 for inflatable party supply rentals by our own Customer Surveys. JumpN2Fun.com serves corporation party specials in Otis Orchards, WA, Spokane Valley, WA, Liberty Lake, Washington, Post Falls, Idaho, Coeur d'Alene, Idaho, Hayden, Idaho, Hayden Lake, Idaho, and Rathdrum, Idaho. We provide parties with the newest, cleanest, and most fun inflatable bounce houses, waterslides, obstacle courses, and funhouses in North Idaho and Eastern Washington. Jump N2 Fun has a BRAND NEW for 2017 TALLEST AND LONGEST WATERSLIDE IN THE INLAND NORTHWEST! Come see our many WATERSLIDES like the 20'+ high Fire and Ice Water Slide, our 27' Tall, 75' long BERMUDA BLAST WATERSLIDE, our Disney Frozen and Disney Princess Theme Bounce House Obstacle Course and waterslide combos, or our BIG KAHUNA Dry Slide! 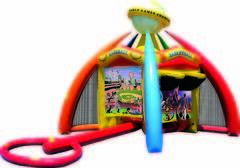 We rent inflatable bounce houses for your birthday party, block party, we have several inflatable obstacle courses for family reunions in the park, or inflatable water slides for your neighborhood party or corporate party, perhaps you need an obstacle course or the Tallest and Fastest Waterslide for your end of the school year or graduation party or you just want to have FUN. How about an inflatable obstacle courses or inflatable combo units for your little Princess Party, or Sports Theme Bounce Party in Greenacres, WA? 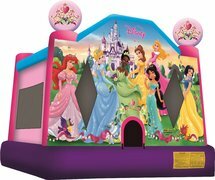 We have Disney Frozen Waterslides and Disney Princess theme dry slides in Veradale, WA, Mickey Mouse Bounce houses In Post Falls, ID, Tropical Theme Waterslides in Dalton Gardens, Idaho, Camouflage Bounce Houses in Hayden ID, Inflatable Camouflage Sports Bouncers in Hayden Lake, ID and more. What about inflatable bouncy castles for your Family Reunion anywhere in North Idaho or Washington? Or bouncing houses, and moonwalks for your Wedding Reception in Otis Orchards? You can also rent other party rental supplies in Spokane Valley such as, snow cone machines when you rent an inflatable too. So, whether you call them bounce houses, jumpers, jumps, bouncers, moonwalks, jumpy castles, big jumpy things, we know that you will love Jump N2 Fun's awesome selection! We service the Inland Northwest area including Post Falls, and are the #1 Choice in the Inland Northwest for inflatable fun guys in Coeur D' Alene, Hayden, Hayden Lake, Rathdrum, Athol, Hauser, Hauser Lake, Liberty Lake, Washington, Spokane Valley, Washington, Spokane, Washington, North Idaho and limitedother areas of Idaho and Washington. We rent spacewalks, Moonwalks, Jumps, Jumpers, Bounce Houses, Moonbounces, Bouncers, Inflatables, Party Supplies, and Games to Liberty Lake and Otis Orchards, Washington. Our Indoor bounce house party is located at 5320 East Seltice Way in Post Falls, Idaho. We have a toddler area inside our indoor bounce house party facility. You can rent Interactive Games, Slides, Water Slides, Dry Slides, Bouncer house, Bouncy Castles, Bouncy jumps, bouncy house in Hayden Lake and Hayden, Idaho, also jumper castles, big jumpy things, Waterslide/Bounce House Combo, Bouncey castles, bounce castles, bouncy jumps, bouncing houses, the Inland Northwest's #1 choice for inflatable fun guys in post falls, coeur d’alene, north idaho, hayden, rathdrum, spokane valley, idaho, party rentals, northwest's #1 choice for inflatable fun is Jump N2 Fun birthday ideas, balloon jumps, bounce house rentals idaho, inflatable games, inflatable bounce house, party jumps, jumps, Coeur D’ Alene, Idaho inflatable bounce house rentals, Post Falls, Idaho bouncy castle rentals, fun castle inflatables. Fundraising events.